Feeding and supporting the adrenal glands is an essential part of reducing the impact of stress. Dr. James Wilson specialises in adrenal fatigue and states that it occurs when "stress overextends your body's capacity to compensate." As a result, he says, the "adrenal glands become fatigued and are unable to continue responding adequately to further stress." The ensuing suboptimal adrenal response can be greatly improved through the use of nutritional and herbal therapy. Vitamins and minerals can be used to prevent metabolic disturbances and to act as cofactors in the production of adrenal hormones. Herbal medicine is effectively used to tone, restore and enhance the function of the adrenal glands as well as reduce symptoms of adrenal fatigue. The effect of modulating adrenal function is far reaching; such is the impact of an impaired stress response on the entire body. A low functioning adrenal stress response will impact negatively on nearly all body systems, with effects on the digestive system, immune response, mental and cognitive performance, reproductive health and many more body processes. Supporting healthy adrenal function can, therefore, be life changing for many individuals. When seeking support for adrenal health, a nutritional protocol will likely include vitamin C, B5, B6, B1, magnesium and zinc. Evidence shows that all these nutrient levels can plummet during times of stress. The adrenal glands have one of the highest vitamin C concentrations in the body. Studies have shown that stress and high cortisol levels deplete levels of these nutrients. As well as being required for the production of nearly all adrenal hormones, vitamin C is also involved in the synthesis of neurotransmitters, including many of the "feel good" neurotransmitters such as serotonin. Pantothenic acid (B5) has been coined the "antistress" vitamin. It is required for proper adrenal function and helps manufacture adrenal hormones which in turn assist in counteracting the stress response. Deficiencies of this vitamin have been shown to be directly related to impaired adrenal function. Both vitamins B1 and B6 are essential cofactors in the production of adrenal hormones. Thiamine (B1) has been shown to protect the adrenal gland from functional exhaustion secondary to surgery. B6 is involved in the manufacture of all amino acid neurotransmitters. It helps the nervous system function, assists cognitive performance and reduces anxiety and stress. Both zinc and magnesium are depleted with stress and are required for healthy adrenal, immune and thyroid activity. A lack of magnesium has been shown to exacerbate the stress response (Seelig 1991). While there are a whole host of plants which are clinically proven to enhance resilience and tonify the nervous system and enhance relaxation, two stand-out herbs should always be considered specifically for adrenal health - Glycyrrhiza glabra (Liquorice) and Rehmannia glutinosa. 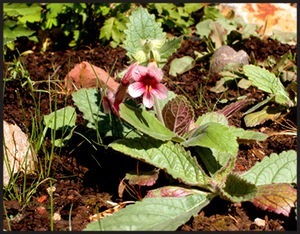 Rehmannia glutinosa is a herb used extensively in traditional Chinese medicine, and regarded by Western herbalists as an adrenal tonic which supports the adrenal cortex and pituitary during times of prolonged stress. As Zi Ge et al (1994) have suggested, the herb is thought to regulate the activity of the adrenal cortex by promoting the function of the hypothalamus-pituitary-adrenal axis and the release of steroid hormones. In combination with a healthy lifestyle, regular exercise and relaxation a herbal and nutritional product designed to support the adrenal glands is very supportive in modern life. Balch PA and Balch JF, 2000 Prescription for Nutritional Healing 3rd ed. Avwery, New York. British Herbal Compendium. BHMA, Bournemouth, 1992. Patak P et al, 2004. Vitamin C is an important cofactor for both adrenal cortex and adrenal medulla. Endocr Res. (30)4: 871-5. Zi Ge, et al. The effect of decoction rehmannia on the cytochemical components of the local cerebrum, hypothalamus and adrenal gland of experimental cerebral embolism. J Trad Chinese Med 1994; 14; 123 - 127.